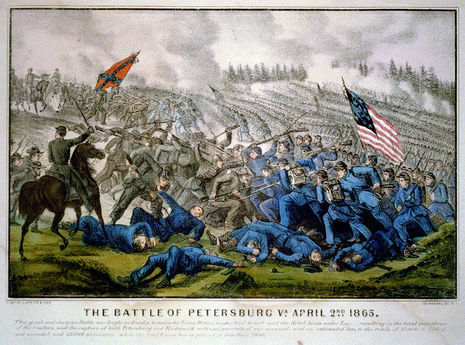 The Third Battle of Petersburg, also known as the Breakthrough at Petersburg or the Fall of Petersburg, was a decisive Union assault on the Confederate trenches, ending the ten-month Siege of Petersburg and leading to the fall of Petersburg and Richmond, Virginia. The Union IX Corps under Maj. Gen. John G. Parke occupied the original trenches captured by the Union army in June 1864. Facing Parke was a strong Confederate position dominated by Fort Mahone (named after Maj. Gen. William Mahone) and manned by the forces of Maj. Gen. John B. Gordon. Since much of the recent actions had been occurring west of Petersburg, in particular the Battle of Five Forks, the Confederate strength east of Petersburg was considerably weakened. On April 1, 1865, Parke chose to assault Fort Mahone directly. The attack carried the fortress and the trenches around the Jerusalem Plank Road. The attack slowed down once the Federals occupied the captured trenches. Gordon rallied the troops and planned a counterattack to drive Parke out of his lost trenches. With the complete disintegration of the Confederate army around Petersburg just hours away, Parke sent word to Maj. Gen. George G. Meade for reinforcements to simply hold his current position. Late in the afternoon in the midst of all other Confederate fronts collapsing, Gordon launched his counterattack and nearly drove Parke out. The Federals held their position and Union reinforcements began to arrive. Maj. Gen. Horatio G. Wright was forming his VI Corps for a massive assault against the Boydton Line held by Lt. Gen. A.P. Hill. Wright massed his entire corps in a wedge with Brig. Gen. George W. Getty's division at the point with Brig. Gens. Truman Seymour and Frank Wheaton behind. The entire assault against the Boydton Line was carefully planned, and at 4:40 a.m. the Vermont Brigade, led by Brig. Gen. Lewis A. Grant, spearheaded the assault. Twenty minutes later the Confederate lines were broken and a decisive breakthrough had been achieved. Wright turned his corps to the south as the Union XXIV Corps exploited the breakthrough. Stragglers from the initial breakthrough continued heading straight forward as the rest of the VI Corps turned to the left. 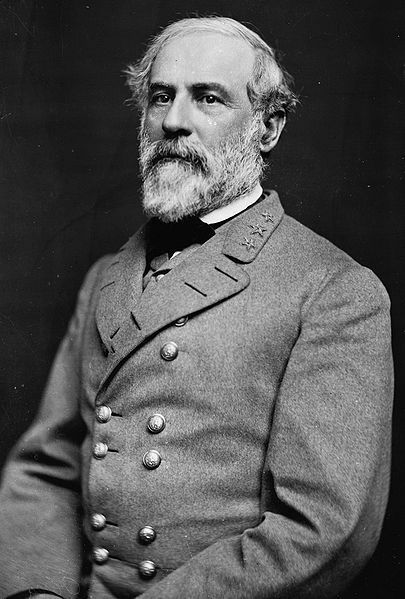 At 9:00 Hill and Robert E. Lee both learned of the breakthrough. Hill immediately mounted his horse and rode to the Boydton Line. Two stragglers from a Pennsylvania regiment ambushed Hill and his aide. Hill demanded their surrender, but the Union soldiers took aim and killed him. His aide rode back to Lee and reported Hill's death. Hill had once vowed he would never leave the Petersburg defenses. Dead Confederate soldier at Petersburg, Virginia, April 1865. Photograph by Thomas C. Roche. Exploiting the breakthrough was the XXIV Corps under Maj. Gen. John Gibbon. Crossing the Boydton Plank Road, Gibbon turned north and moved towards the city itself. Lt. Gen. James Longstreet was bringing troops down from the Richmond defenses as quickly as possible. To buy time for these troops to take up a position, Nathaniel Harris made a stand at Forts Gregg and Whitworth. Gibbon was leading his new corps into action for the first time. Led by the division of Brig. Gen. Robert S. Foster, the Federals moved on Fort Gregg. The garrison could not turn back the assault, but once the attackers reached the fort it proved difficult to overrun by sheer momentum. Cannon fire from Fort Whitworth plagued the Federals, but eventually by superior manpower Fort Gregg was overrun. Nearby Fort Whitworth soon followed. Gibbon's troops had spent themselves on taking the two forts and now Longstreet's corps began to arrive. The IX Corps was pinned down in Fort Mahone, the VI Corps had run out of momentum after breaking the Boydton Line, and the XXIV Corps had been used up taking Fort Gregg. The only Union Corps left for any further movement was the II Corps under Maj. Gen. Andrew A. Humphreys. Humphreys' corps faced the forces of Maj. Gen. Henry Heth running from Hatcher's Run to White Oak Road. Maj. Gen. Nelson A. Miles's division had been sent to reinforce Maj. Gen. Philip Sheridan on the Union flank. Not needing the infantry support, Sheridan sent Miles back. Once the VI Corps had broken through, Humphreys was ordered to attack along his front. When the order came for Humphreys to attack, Heth had already begun to fall back to a secondary line. Humphreys only had one division available to attack and pushed forward engaging with a few Confederate pickets. When Miles' Division returned, he faced abandoned trenches. Humphreys wanted to move against Heth, but Meade ordered all the Union infantry to turn and face Petersburg. Humphreys turned to the north, but left Miles behind to deal with Heth. Miles struck Heth at Sutherland's Station. Heth, now in command of Hill's Third Corps, repulsed two attacks from Miles before the latter sent for reinforcements. As had been the case for the II Corps all morning, Humphreys backtracked to Sutherland Station. 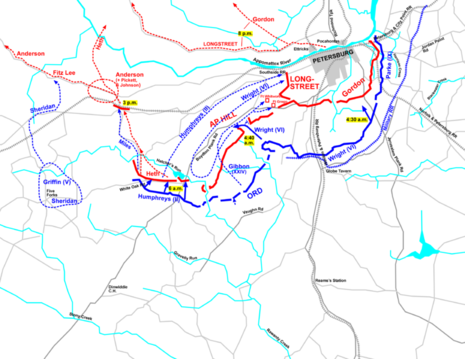 However, Miles launched a third assault and broke Heth's line. A stand made by brigade under Brig. Gen. John R. Cooke held up the Federals as the rest of Heth's troops headed west. The II Corps had been made to wander back and forth all morning and Humphreys contended that, had his whole corps been allowed to move against the Confederates, Heth's whole command would have been destroyed. The breakthrough at Petersburg ended the Siege of Petersburg and began Lee's retreat to the west, where he hoped to obtain supplies and link up with Gen. Joseph E. Johnston's army in North Carolina. On April 3, 1865, Richmond, now uncovered by Lee's army, fell to Union forces. The major objective of the war since 1861 had finally been achieved. 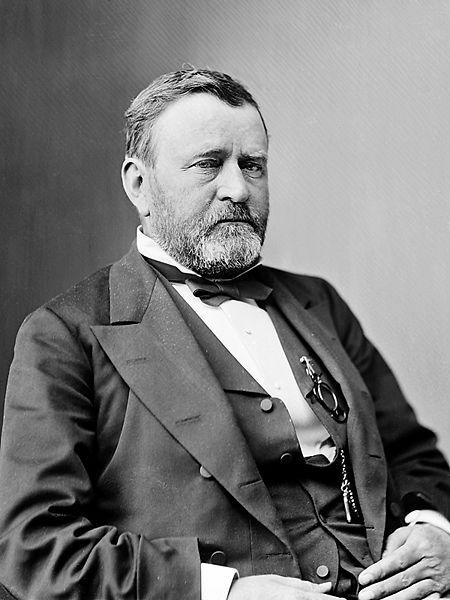 A week later Gen. Robert E. Lee would surrender to Lt. Gen. Ulysses S. Grant at Appomattox Court House.